What role should education about religion play in schools? In the face of surveys that show that the majority of the UK population now self-identify as non-religious, whereas globally the substantial majority identify as religious, this is a taxing question for policy makers. Should religion be ignored as an irrelevance to English society or should it be directly addressed given its impact in politics and daily life? Earlier this month, a potentially influential report appeared that attempted to tackle these questions. The report has been produced by the independent Commission on Religious Education (CoRE). This is made up of 14 high profile people, representing a diverse range of positions. Given the interest stimulated by their report, there is a chance that a significant shift is around the corner for English schools. Much depends on how the Government responds. In England the current law makes Religious Education compulsory for all pupils from 5 to 16, but in practice that legislation is increasingly ignored particularly in secondary schools. There are many reasons for this, which the report rehearses. The priority is to address the lack of integrity in the current government position of saying that the subject is OK because it is protected by statute, when that statute is ineffective and allowing rapid decline. CoRE is unequivocal that the current arrangements for RE in England are no longer fit-for-purpose. So its report calls for a new, inspected National Entitlement for all pupils in state-funded schools to combat the current disparity in provision between schools and for new programmes of study to be developed for teaching this Entitlement that reflect the varying characters of English schools. It also calls for serious attention to be given to the training of teachers. Without a clear statement of accountability and properly qualified teachers, relying on the subject’s current statutory protected status lacks integrity and dooms the subject to withering on the vine. The report is a timely opportunity for correcting this. At the heart of CoRE’s proposals is recognition that preparation for life in modern Britain entails gaining a sound understanding of the important role that religion and belief plays in human life. Living well in the midst of diversity is an essential element of citizenship in a democracy. Handling the controversy created by deep differences of religion and belief is an essential outcome from a rigorous academic study of religion and belief. CoRE argues that this entails a gear change for schools. This is reflected in their call that Religious Education should be renamed Religion and Worldviews and embrace the diversity and complexity of the religious and belief landscape of the modern world. In the CoRE vision, this newly-envisioned subject will enable pupils to understand and navigate the influence that religious and non-religious worldviews have in human lives, including their own. This is the game-changer in the report. Some have responded negatively to this recommendation interpreting it as a call to add yet more content to an already crowded curriculum. Others have interpreted it as diluting the subject, fearing it represents a hostile plot to reduce the attention given to religion in the curriculum. Others still see it as a coup, replacing religious content with sociology. But these objections miss the point. They assume that the shift is about content; but it is not. The gear change is a reframing of the subject that may well not change the knowledge learnt, and it will be a knowledge-rich subject, but it will change how that knowledge is handled. At the core of this new approach will be exploring how different people make sense of the lives and the role that religious and non-religious worldviews play in that making sense. This will help pupils in their own sense-making and in their understanding of others who may go about it in a very different way. The purpose of the National Entitlement is to ensure that all students have the opportunity to study this fundamentally important dimension of human life. As a Christian educator I welcome this new approach. For one thing it resonates well with the new hermeneutical approaches being developed for church school education and in the study of Christianity. Second, I believe it adds a new dimension to the study of theology in schools. Too often this is interpreted as solely doctrinal, the examination of core beliefs. This is important, but it’s not all there is to academic theology. An increasingly important dimension of this is public theology, by which I mean the study of how Christians engages with the wider culture. In my opinion, the proposed National Entitlement is an opportunity to reinvigorate how Christian schools approach teaching about both Christianity and other religions. The future of RE in schools is fragile. The CoRE Report offers a new way forward. I hope it is grasped. Trevor Cooling is Professor of Christian Education at Canterbury Christ Church University and Chair of the Religious Education Council of England and Wales. The views expressed in this article are his personal views. 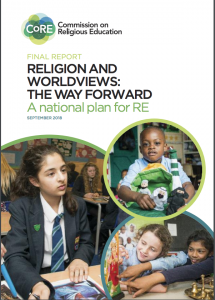 The CoRE Final Report is available at https://www.commissiononre.org.uk/final-report-religion-and-worldviews-the-way-forward-a-national-plan-for-re/. Having read the document briefly, and the executive summary and recommendations in detail, I agree broadly with Trevor’s urgings here, and welcome the strengthening of RE as a subject as a result. I do not hold out massive hope for schools, MATs and local SACREs taking on the recommendations, and until OFSTED is beefed up to check on the amount and quality of the teaching (and identifying that lack is one of the best things this report has done) I do not know how far we will get. I also agree wholeheartedly with the content of the national entitlement, though I have misgivings about yet another national approach in a country that is far more local than we give it credit for, and for whose children a local education is needed now more than ever in the face of educational nationalisation. 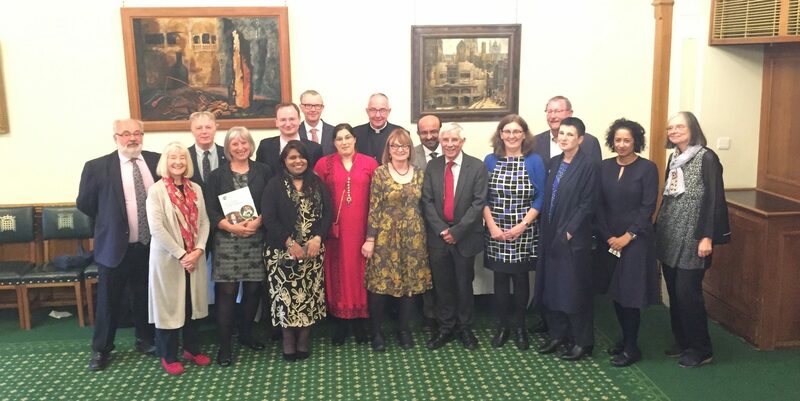 I was not part of any of the consultations, and perhaps should have had my say then, but the new Local Advisory Boards for Religion and Worldviews perhaps need more or different statutory powers to place the national entitlement within a truly local context. This would enrich rather than impoverish provision, in my view. But this is a minor point compared with the heroic effort put in by the commission to get to where it has. As the author of the 2016-17 agreed syllabus for RE (Milton Keynes), which tried (in vain, in someways) to take the interim report’s findings into account, I would love to be in a position to do a rewrite in the context of this final report.